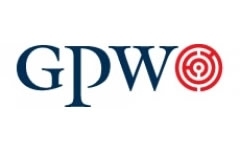 GPW is an international business intelligence and corporate investigations firm owned by its partners and chaired by Andrew Fulton, a former senior member of the British Secret Intelligence Service (SIS). Ahead of events our work is geared toward underpinning a client's confidence in business decisions and identifying relevant and material issues in order to manage corporate risk. We typically gather key competitor intelligence, we conduct due diligence ahead of new investment opportunities, corporate bids, acquisitions, partnerships, joint ventures and the hiring of key individuals. During events we are retained to advise upon an array of threatening and challenging situations such as enhanced government relations, hostile bids, investor activism, shareholder disputes, boardroom clashes, maliciously targeted allegations and at other times of unexpected corporate adversity. Post event, we investigate fraud and internal malpractice, corruption and bribery (including FCPA situations), kickbacks and secret commissions, we conduct litigation pathfinder analysis, gather intelligence and evidence in support of litigation and dispute resolution, we trace and recover assets internationally, we investigate intellectual property theft and infringement, we conduct computer and other forensic investigations and we unravel complex and opaque offshore corporate structures. We typically receive our mandates from the Chairman, Chief Executive or General Counsel of corporations, commercial litigation partners in law firms, corporate finance directors in investment banks, heads of security, commercial dispute and work-out professionals, institutional investors, hedge fund managers and high net worth individuals or their family offices. We also undertake work in the public sector, where clients include governments, their departments, agencies and regulatory bodies. Our international capability is supported by a well established network of resources, for whose integrity we vouch and with whom we have long and established relationships. Central to this network is a team of special advisers with sector or country knowledge and skills. Many are dispersed around the globe, enabling us to provide a timely international response in even the remotest of locations. Others in the network are known and trusted independent sources with whom we have worked for many years. Our partners' well honed skill in conducting complex international assignments through the adept management of a diverse range of resources is a core strength of gpw.